When you are buying a new vehicle in the Thornton area, you should not overlook the stunning style and the overall exceptional reputation of Pollard Jeep. The engineering in our vehicles has been refined, and the result is today’s incredible lineup. With small and large SUVs to take a closer look at, you will discover that we likely have the ideal new SUV that you are looking for on our lot. 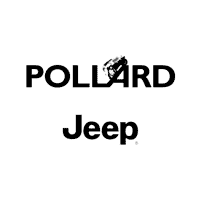 You can stop by Pollard Jeep for a test drive Today!